If you are new to this single mom thing, or if you haven’t yet braved a vacation with your children as a single mom, this is the post for you. When people hear of how often I travel with my 6 children as a single mom, they seem very surprised. After nearly 5 years, I no longer find traveling as a single Mom very difficult- I’ve gotten used to doing it alone. I do remember though how daunting those first few trips were alone. 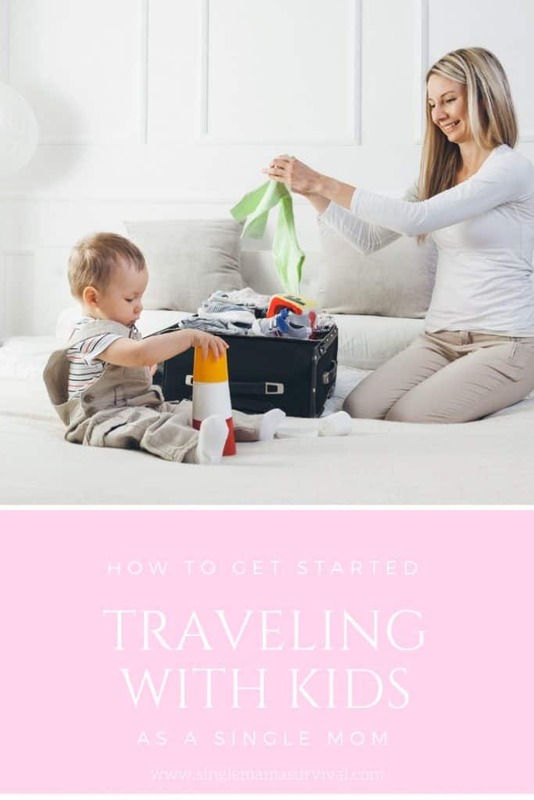 Today I’m sharing my best tips to help you jump into traveling with your kids as a single mom. 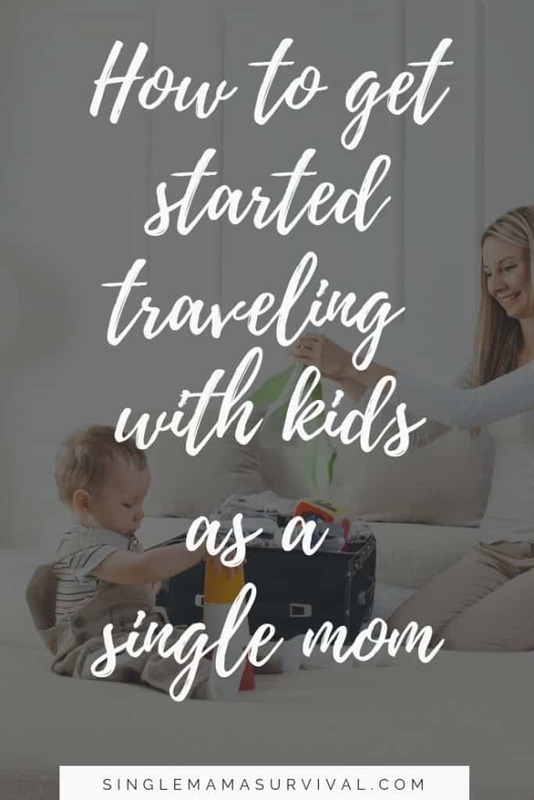 Trust me, if you are already juggling the stress and demands of single motherhood, you are definitely capable of traveling with your children! For your first adventure, try to visit family or friends, or meet loved ones at a nearby vacation destination. Having a little extra help on your first adventure or two as a single mom eases the transtion. For me the hardest part of vacationing as a single mom those first sevearl times were the emotions. Old memories of vacations past like to surface during vacation- at least for me. Even when I felt I had my feet under me in my every day single mom life, the blow of doing vacation alone was difficult. Your children may also have similiar feelings on the first few vacations without both of their parents. Having friends or loved ones there to help with tough things and to ease into vacationing in this new family dynamic is so helpful! Keep the distance and length of your first few single mom vacations short. Starting small and easy is a good thing! Traveling as the only adult can make some logistics difficult. The more you can plan ahead the easier your vacation will be. You don’t want to be driving, negotiating sibling squabbbles, while simulanteously trying to figure out where to eat dinner! Be sure to plan a lot of wiggle room into your drive time. Potty stops are no longer quick with only one adult. With on adult to stay in the car, there is no divide and conquer on bathroom breaks. You know that no vacation with a child is perfect, so remember to be realistic with your expectations. Your vacation is going to have challenges. Be sure to build in some rest and relax time for you and your kids on vacation. Go slow and easy, espeically on these first solo mom vacations! Yes, there will be some hard moments, just like single mom life in general. But, traveling with your kids will be worth it, even with those challenges. Take a deep breath, make some plans, pack up your family, and jump in the car! First I eased into travel by visiting my sisiter, but my toddler fell out of the van when we stopped for lunch, ending up with a black eye before we even reached our destination. I worried about whether or not to try to find an emergency room, and then what would I do with my 5 other kids while the toddler got checked out? On the next trip, I locked my car and room keys in our cabin and had half a mile hike with kids in tow to get back to the office to get a new set. Looking back, even with the stress, those trips were so worth the trouble. Now we laugh at the mistakes that happened, but more than that we have sweet memories of our first travels in a new family dynamic. Each time I travel with my crew, it gets easier. You can do it too! Now, where is the first place you will go?